So I have finally decided on a paint colour for my beauty room. 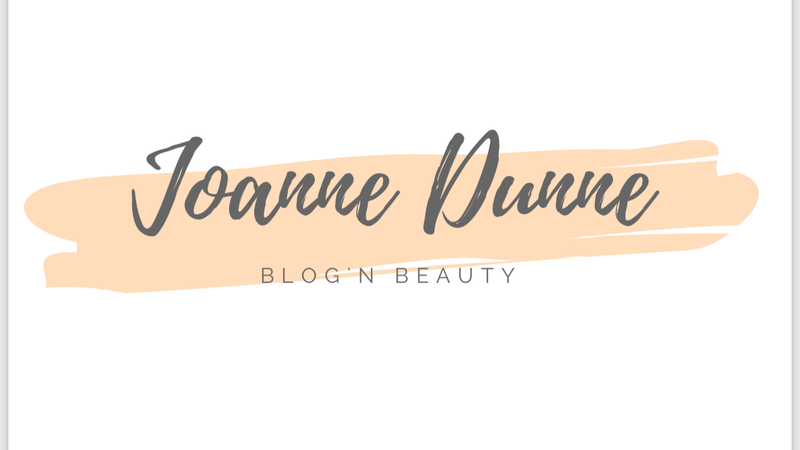 Do you think I can remember the name of it for this blog post? No, that would be too easy. It’s some sort of grey. I bought the 10 Ltr bucket of paint from Kehoe’s in Enniscorthy for €46. I don’t know if that’s good or bad Price wise because I haven’t a clue but the man who worked there was really helpful and patient so I was happy. 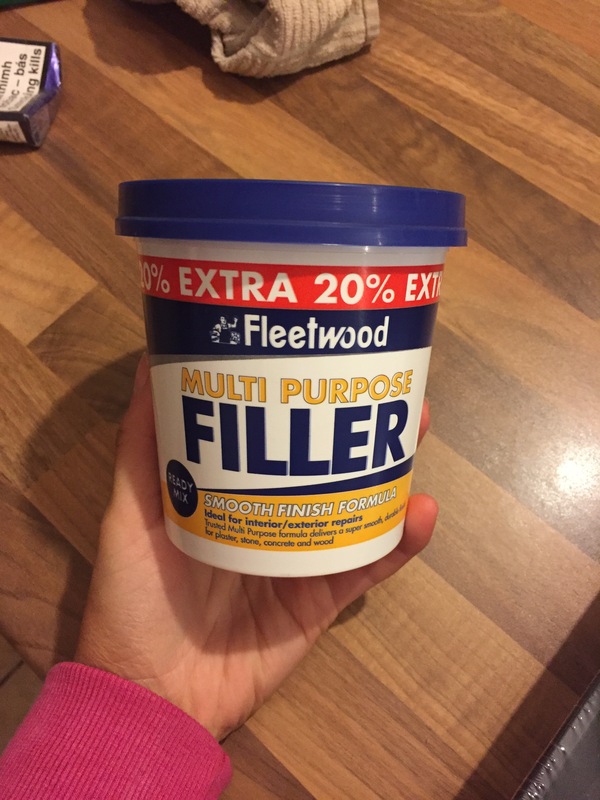 I had to buy some filler for my crack (😂😂) on one of the walls in mams office. 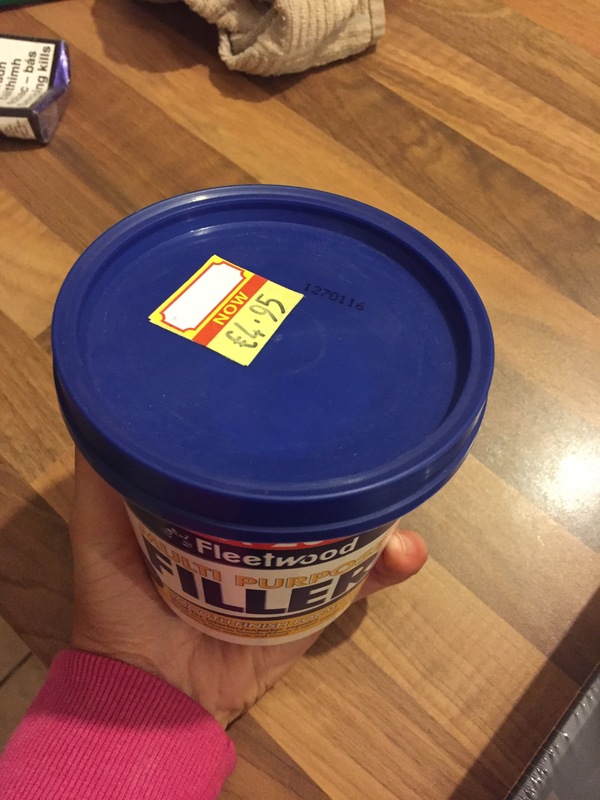 I got that in Kehoe’s too for €4.95. What next?? Oh paint brushes. 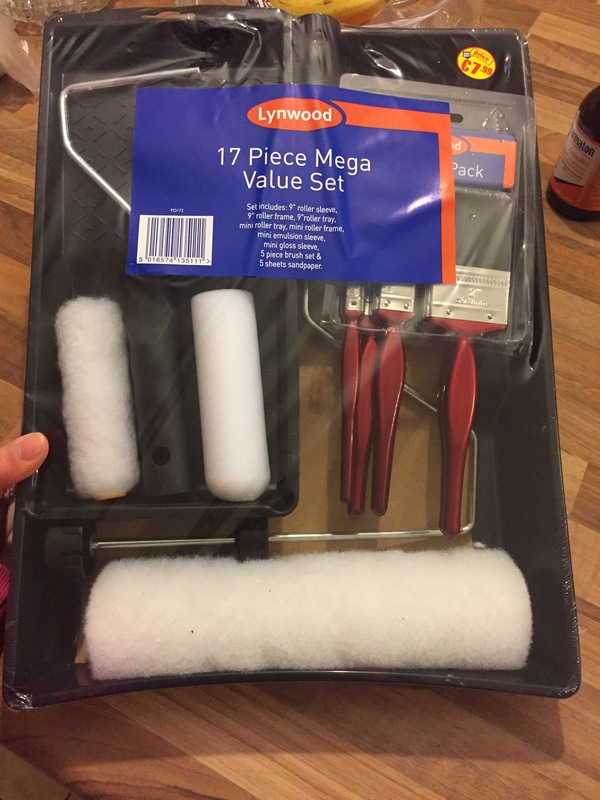 This may seem obvious but believe me when I say I stood in that hardware shop for fifteen minutes making sure I wasn’t forgetting anything and then came out without paint brushes. I was in Mr Price picking up a few bits and came across a starter paint brush set thing for €7.99. Who would have thought that there was such a thing and that it would be so affordable. Whoo I love a bargain. Do you know what the best part of the paint brushes set was?? They actually worked. I don’t know about you but I have bought so much crap on the cheep thinking I will take over the world and before I get home it has broken. I think I have everything I need, I nagged my boyfriend for about a week and he is going to help me paint too! So looks like it’s time to get painting.